NPInfluence is the first-ever online panel of NPs that provides you with the opportunity to impact health care decisions across the industry. AANP members and nonmembers are encouraged to join the panel. Research panels are a popular method to acquire information from an established group of individuals. However, many online health professional panels lump NPs with physicians, physician assistants (PAs) and other medical professionals. NPs have unique experiences and perspectives that need to be distinguished and shared across the health care industry. Thus, NPInfluence is more than just a research panel, it's a platform for NPs to be heard. Join the panel—industry entities are listening! 1. Join NPInfluence by filling out a quick profile survey that takes less than 10 minutes. 2. 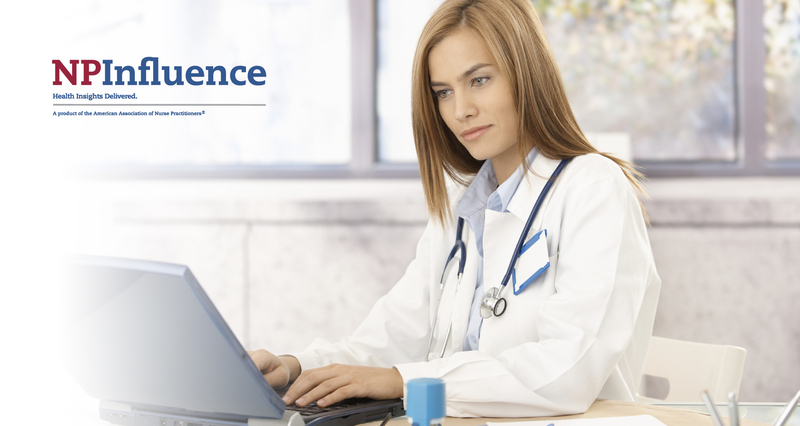 Receive emails with invitations to take surveys that are administered by AANP and sponsored by America’s most trusted health care brands, universities, hospital systems and government agencies. 3. You get to choose to take as many, or as few, opinion-based surveys as you want. 4. Each survey that you complete allows you to earn points, which can be redeemed for a gift card. If you are interested in learning more about NPInfluence, please contact AANP at research@aanp.org.